Bottomless brunches aren't anything new & groundbreaking in Manchester but Dirty Martini have joined the game and they've got all the best cards. Forget your mimosas and your Buck's Fizz because brunch martinis are where it's at. 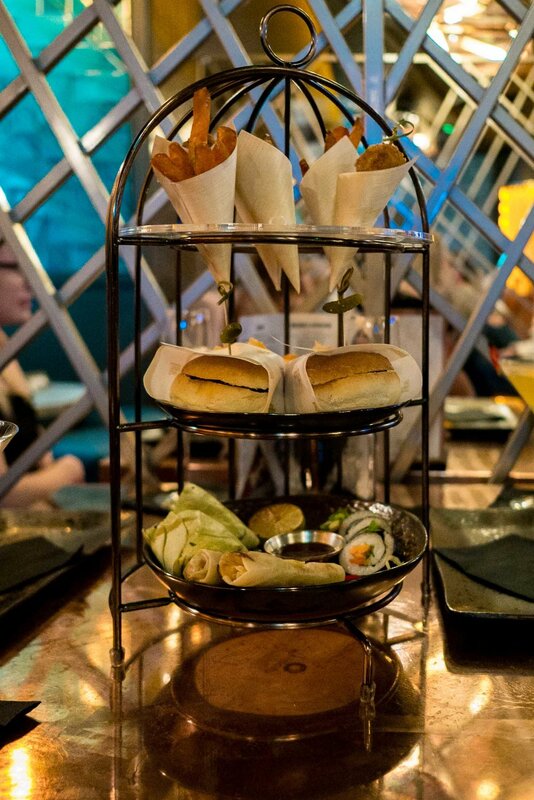 Over a 90 minute window you can enjoy unlimited prosecco and up to 4 martinis*, and gorge on mini sliders, arancini, sushi, spring rolls, buttermilk chicken and halloumi wraps served up afternoon tea style in a beautiful decorative birdcage, all for just £25 a person! Now when you consider that on average one of their martinis sets you back £9 you really are getting a steal. Passionfruit Martini. Beefeater Gin shaken with Passoa passion fruit liqueur, gomme syrup, fresh passion fruit and passion fruit juice to finish. Blood Orange & Vanilla Martini. Absolut Vanilla Vodka, Briottet Crème de Cassis and Briottet Crème de Violette shaken with fresh orange and lemon juice, with a splash of blood orange syrup for good measure. Mango & Chilli Martini. Absolut Mango Vodka shaken with Briottet liqueur de Mangue, fresh lemon and mango juices, gomme syrup and just a hint of chilli. Espresso Martini. Our favourite of all cocktails - Absolut Blue Vodka, Kahlua coffee liqueur and Teichenne Butterscotch Schnapps shaken with crisp fresh espresso. French Martini. Absolut Vodka and Chambord shaken with fresh pineapple juice, a classic that's simple yet so delicious - we'd go as far as saying it's a new favourite for us. Between us we tried them all and can confirm they're just as good as when you order them from the bar during normal service! Even the bubbles were pretty decent too! The martini brunch is currently only available Saturdays at 12.30pm and 2.30pm and fill up extremely quickly so we suggest booking well enough in advance. It's the perfect excuse for a girly catch-up, birthday celebrations, a day date or just an excuse to treat yourself for an extremely reasonable price tag! *Dirty Martini promotes drink aware and therefore you can only have drink per person at any given time and runs challenge 25 so if you're lucky enough to look young you may need to show ID.